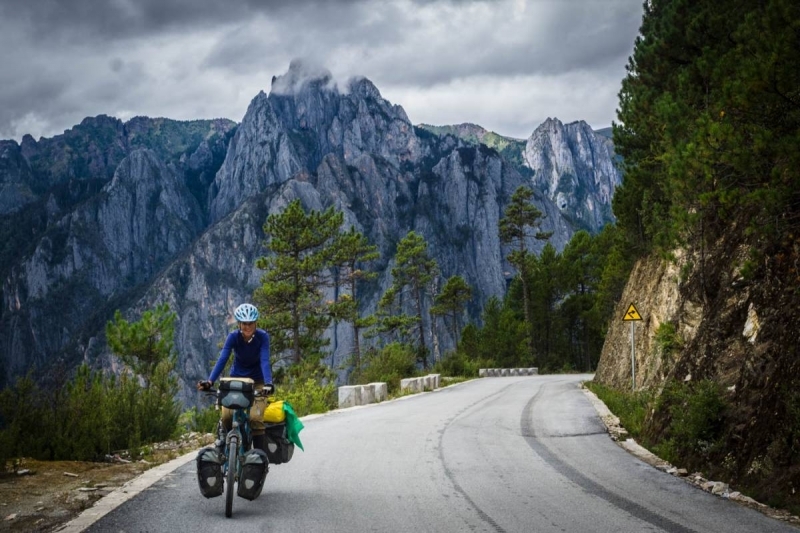 A well known section of bicycle touring in China. This is what we were preparing ourselves for. Mountain passes up to 4720 meter and no idea about the quality of the roads. We were heading out on an endeavour which would become one of our highlights of our journey. From the wild west of Litang, past mystical Shangri-La to enter Chinese tourist heaven in Lijiang in our final Chinese province Yunnan. 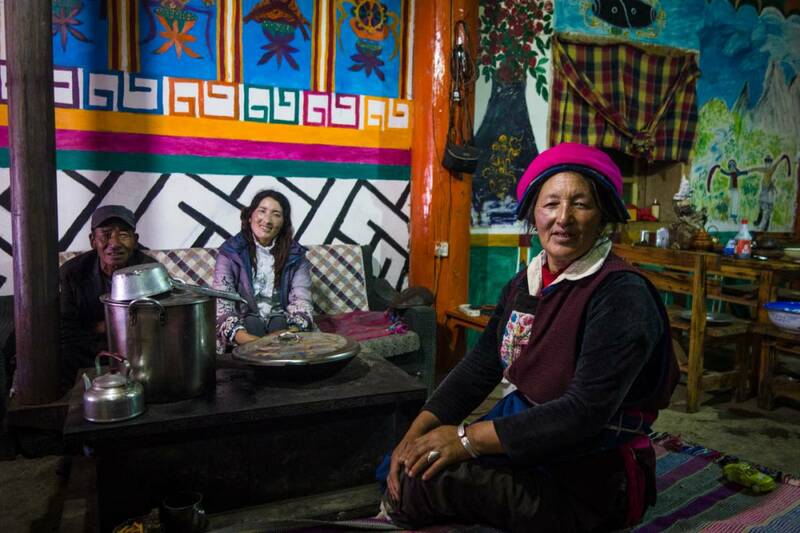 The Tibetan Plateau comes to an end in Yunnan. 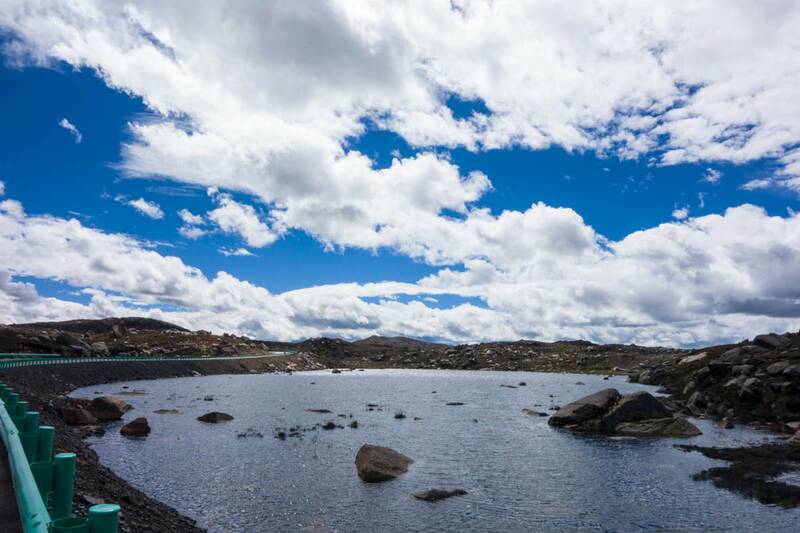 Photos of this section can be found here: Litang to Xiangcheng, Xiangcheng to Yunnan province and Yunnan province to Lijiang. When we cycle we are very much focused on cycling and having our routines. When we rest in a town we are busy… doing groceries, maintenance of the bicycles, writing blogposts, editing photos, sending e-mails, planning our next sections and indulging in internet and sometimes a movie. Not so much time left to enjoy where we are and go exploring. Sometimes this backfires and we had a few rough days at the start of this quite challenging part of our journey. Susanne had a day where she felt very off, which in hindsight might have been activated somewhat by hormones, and the next day we were fed up. We were in a beautiful landscape and the cycling was not very difficult, but one thing led to another and we were done. Mainly fed up with each other but also where we were and how we were feeling and having only each other as conversational partners. After a couple of hours on the side of the road we luckily got some inspiration from the scenery and it was good the traffic was low otherwise we might have hitchhiked to somewhere further on the route. We picked ourselves up, gave ourselves a good talking to (because we are living the life and have utter freedom and we choose to do this and be there!) and carried on cycling to the next pass. When we finally got on our bicycles again and started searching for a place to sleep this was quite hard but finally we found a great camp spot. The following day the sky had cleared and positive vibes were starting to flow again and we were cycling through a Mars landscape which was quite surreal. 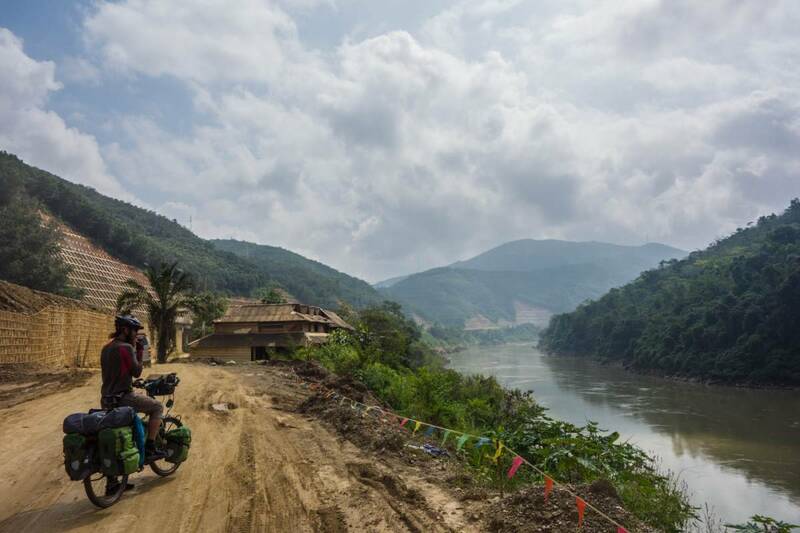 We cycled on a plateau until we reached a great downhill towards Sangdui. Sangdui was a small touristic village where we could shop and have a snack before heading up to the biggest pass to date of 4720 meters! We got stopped by a car with Chinese who had previously seen us on the road and had a nice chat with some English spoken which was nice for a change. We headed over the pass without any difficulty (by now we have acclimatised well) and on the other side we could see Tibetan villages from far above. The villages have changed over time, now the houses were still big but they were plastered white and to our surprise many of the white houses had communist flags on top of them. It was hard to find a place to sleep so we pushed on to Xiangcheng, with a final hill and a final very wet rainstorm. The water was flowing down the hill we were cycling up as a waterfall. We found a nice small guesthouse called Anniko just 500 meters east of the main junction. But there was no stream… We cycled up and up and hoped for a stream around every corner. We had made it up to the first pass with some amazing mountain views along the way. Luckily there was a sort of work camp on the first plateau where we could ask for water. At least now we had water! We went on searching passed a watchtower and had information on our GPS that there should be a shop. We were a bit sceptical about the shop because it really was the middle of nowhere but there was a shop and we could buy two drinks. By now it was 19:00 and really time to find a place. 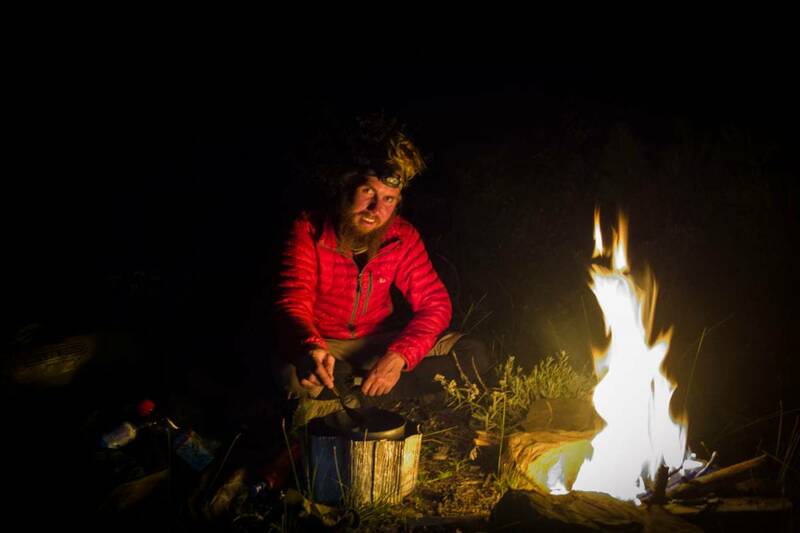 Martin had seen a small plateau just before the shop, so we headed 500 meters back and found a beautiful place to set up camp and Martin made a nice fire to warm our souls. We packed up the following morning and left to start a beautiful green road up to a pass with many trees and which gradually climbed. It was very quiet, we really don’t know where traffic went that day. Martin heard a ticking sounds from his rear wheel and checked it out. His rim had 11 cracks at the spokes which did not look good…..
We decided to switch rims because the weight on Susanne’s bicycle is a lot less straining for a rim. We cycled a little further and stopped again contemplating what would be the right thing to do. How long had it been like this? We talked about hitch hiking to Shangri-La, but there was no traffic at all. Suddenly Susanne looked up and their was another cyclist cycling up the pass in the same direction as ours. We were very surprised to see him because we didn’t know there were any cyclists in the neighbourhood. We had expected to come across cyclists from the other direction but we had only seen Chinese cyclists until now. Davide is from Italy and has been cycling from Italy through Central Asia for the last eight months. 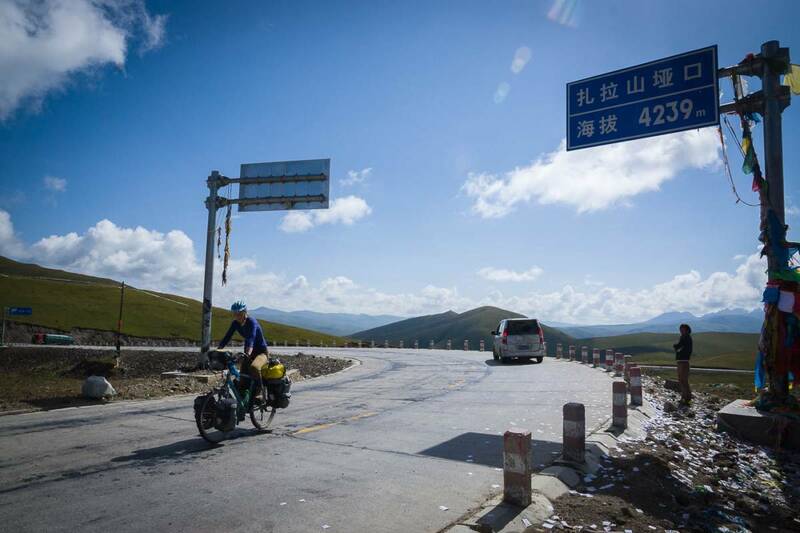 He has done that section very fast and has cycled from the West of China to here. He plans to cycle around the world in the next four or five years. We were in limbo about our rim and were not sure what to do. We cycled on and said that Davide shouldn’t wait for us. But somehow it worked out and he was willing to wait for us and happy with some company. At the end of the day we met a section of road about 50 km from Shangri-La where roadworks were in progress. And the road wasn’t bad, it was extremely bad. The mud was almost half a meter deep and the going was incredibly difficult. We were hoping that this wouldn’t continue until Shangri-La, but were nervous it would. We found a campspot where we could camp together. In the morning we set off early, while Davide waited until his tent had dried up. We were happy because the road looked like it would be okay and firm this time. At one section a new road was being built with a bridge and Martin took a chance and we could cross the bridge. We heard later from Davide that he didn’t take the chance and that the alternative was very very sticky mud. We met up again just outside Shangri-La, had lunch, did some shopping, cycled through the old town and decided to cycle out of the city again. 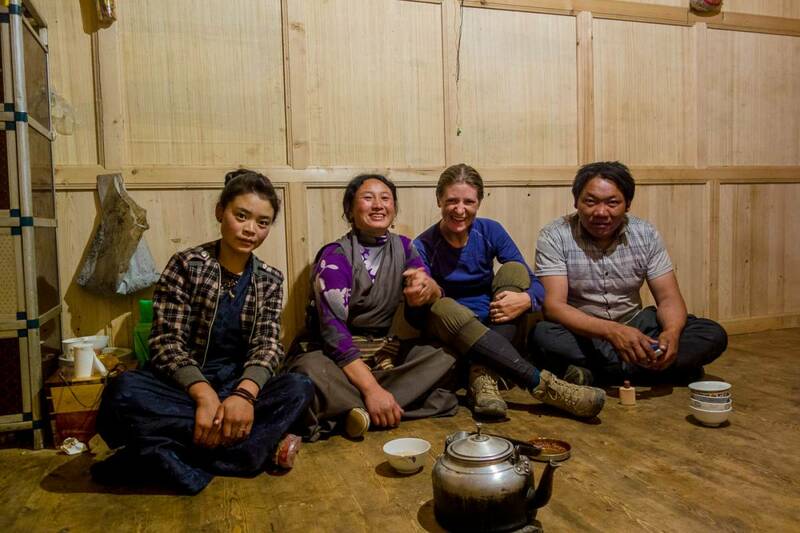 That night we slept in a Tibetan homestay. 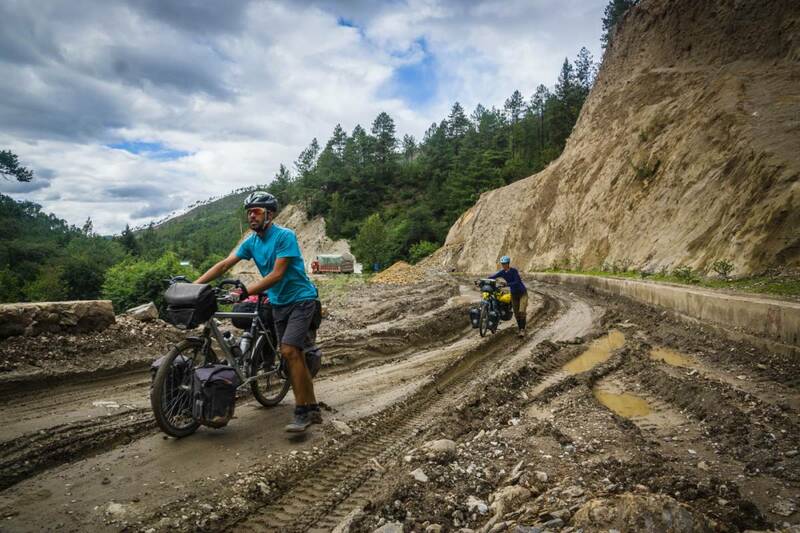 Our original plan was to take a small road from Shangri-La but because of visa time (less than a month left) and our rim we decided on the faster main road. This road still had a surprisingly scenic downhill for us. The Tibetan plateau was definitely far behind us now. We descended from 3000 to 1900 meters through a steep valley with again rain but also sun. Very obvious were the many tour busses and tourists that were taking photos of the scenery. We decided to pass on Tiger Leaping Gorge having seen so many natural wonders and great views in the last weeks. A final night camping with view of the river and a final pass to make it to Lijiang which lies at 2400 meters altitude. Lijiang is known for the old town and being a very Chinese touristic city with 5 to 8 million Chinese tourists a year. We were actually happily surprised by the old town feeling and atmosphere and didn’t feel it was too touristy, although of course there are many souvenir shops and touristic things. We enjoyed strolling around. Accommodation was a little difficult because now in the old town you might have to pay a fee for staying there, but it is not very strict and clear. We found Guesthouse Mama Naxi outside of the old town and had a very comfortable stay there with great food and a bit of social conversations. All in all we enjoyed the stretch from Litang to Lijiang and it is definitely memorable with many mountain passes in between. We had expected it would be very tough with the altitude and amount of climbing but in hindsight it wasn’t too bad. We were very well acclimatised and enjoyed the diversity of the landscape. 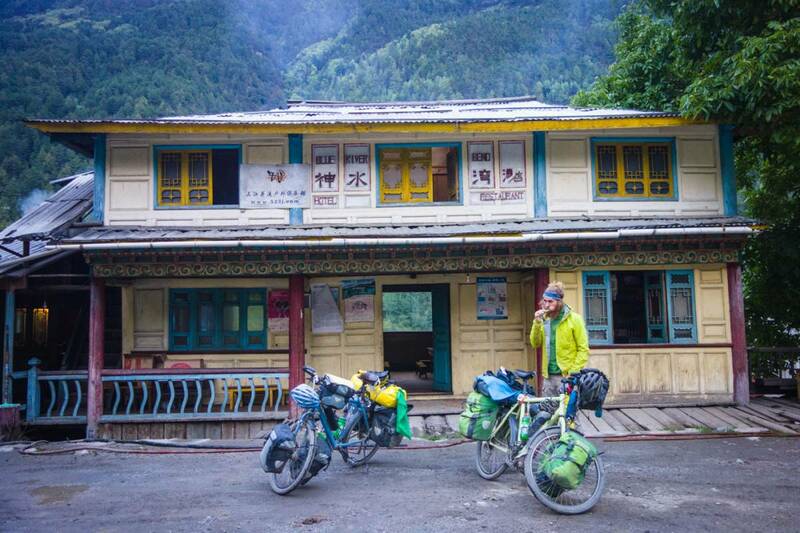 By now we have cycled 16 passes of over 4000 meter in China in the last month and a half. It has been a great rewarding experience! Nice! We have good memories of this ride in China, beautiful! Enjoy!